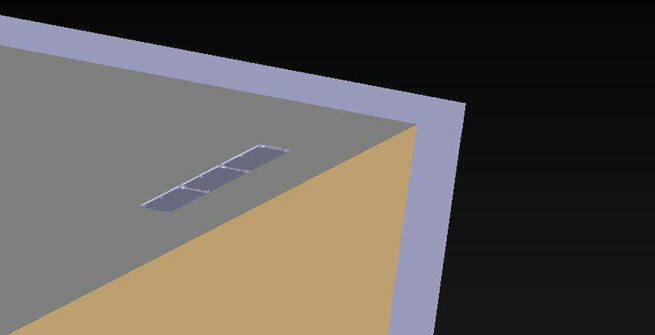 Typical starting point for creating wall washing setup for 2-3 meter wall is to place F14487_FLORENCE-1R-MAXI-WG in 10…20 cm distance from the wall and taking into account asymmetric light direction (shown by arrow in the lens). 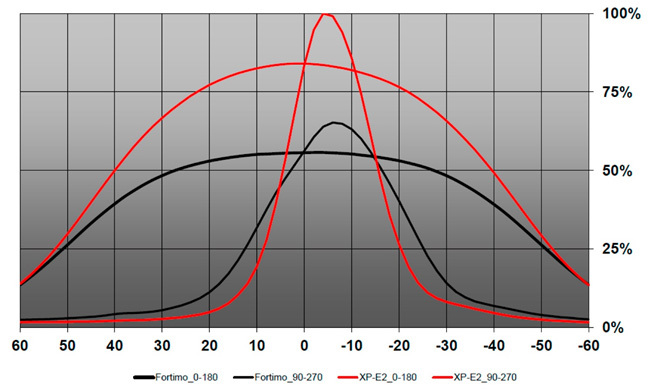 Typically using high power LED allows better CD/LM peak result with only minor differences on total efficiency. 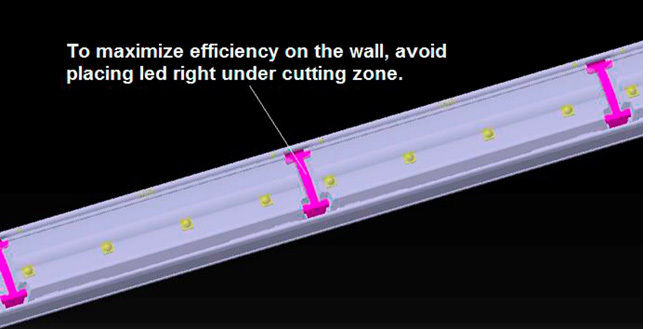 In practice CD/LM difference can be noticed on vertical illumination depth in wall washing applications. 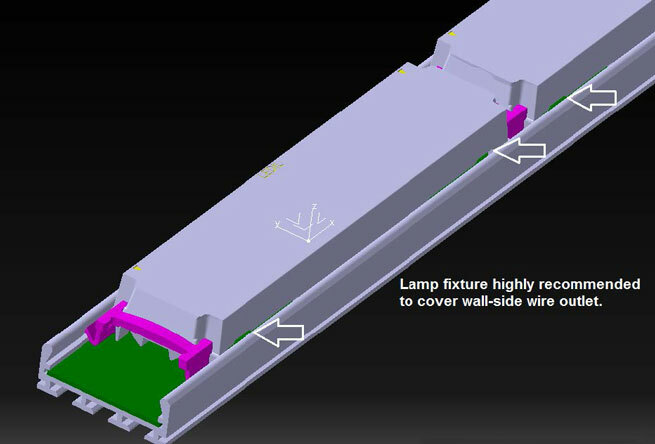 Before assembling the product ensure that mounting surface is even and not causing pressure on the light fixture. Slide the lens into the aluminium profile and make sure the whole lens is evened out, so that every hole reserved for connectors are hidden inside the profile. The fastening clips will be installed on both sides of every lens. Press the clips inside the profile with the help of a flat headed screwdriver. It may be easier to place one side to its place at first, and then press the other side down. 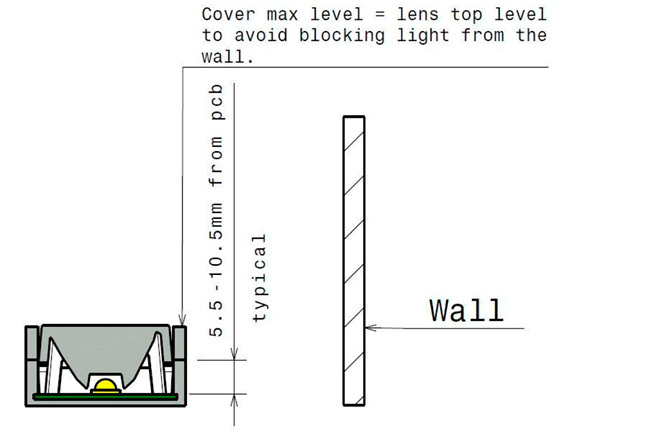 These small arrows on the other side of the lens show direction of the light beam, so make sure they are pointing towards the wall. 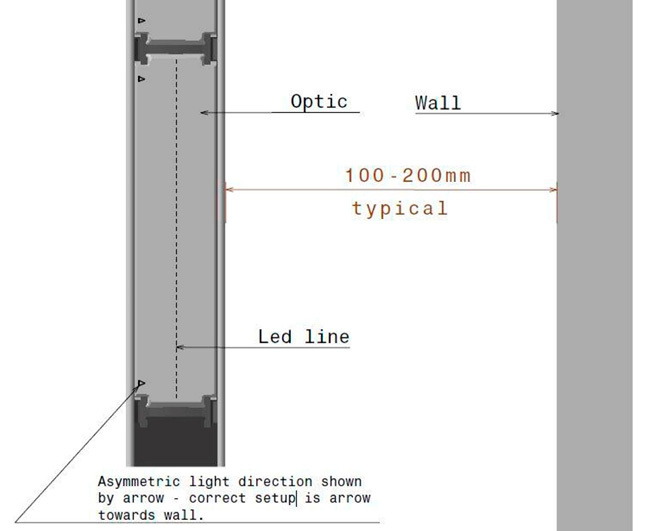 Please see available accessories for installation on the product page.